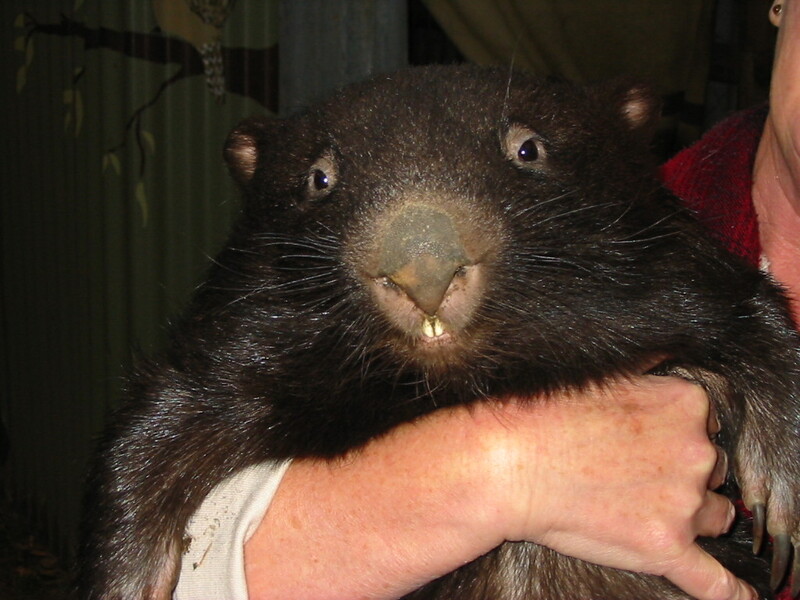 Wildlife vets report the main health issue for hand raised wombats is teeth problems. 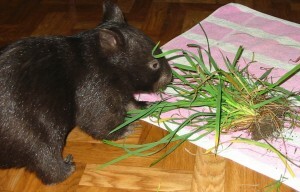 This could be due to orphan wombats not having grass introduced to their diet soon enough for natural wear to occur. As carers we should make sure that orphans have access to grass and roots at an early age as well as something hard to chew on. A small log or branch with bark attached will give lots of exercise and entertainment. 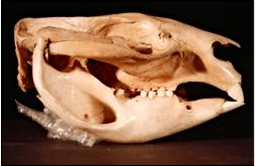 The wombat may not digest the grass at first and you will notice balls of chewed up grass, this shows the teeth have been grinding away and keeping the teeth in shape. Baby wombats in the wild have access to grass and dirt long before they leave the pouch. 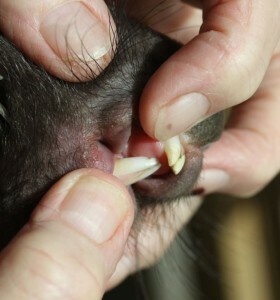 It’s important to check your wombat’s teeth. Are they aligned correctly? Not eating as much grass as usual. 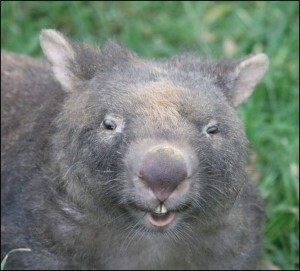 Wombats teeth continue to grow throughout their lives. If the teeth don’t align correctly they can grow out of control. Sometimes over grown teeth will snap and break on their own (and right themselves) but often if left untreated other teeth problems occur. Teeth problems are usually evident by 5 – 7 kgs. 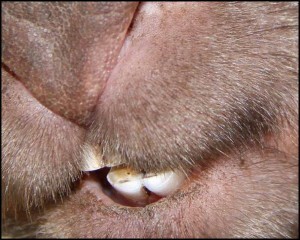 Back teeth can develop spurs which cut into the sides of the wombat’s cheeks and tongue, making it very painful to eat. If the molars are developing spurs these will need to be cut back and filed. A referral to the Australian Wildlife Health Centre in Healesville would be recommended. 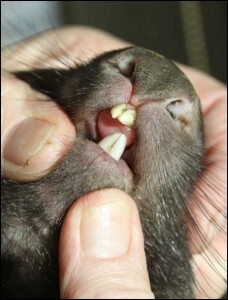 Above: Example of over shot top teeth showing no sign of wear. The top teeth need to be filed back to encourage even wear. 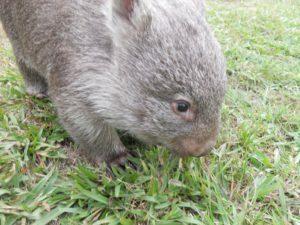 The bottom teeth are starting to wear into the top gums and the wombats back teeth have started to develop spurs which are growing into the wombats cheeks. 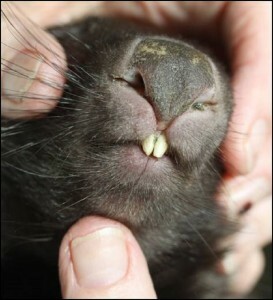 These were protruding beyond the top teeth and have been filed back so they meet the top teeth. Now it is evident that the teeth are wearing evenly.